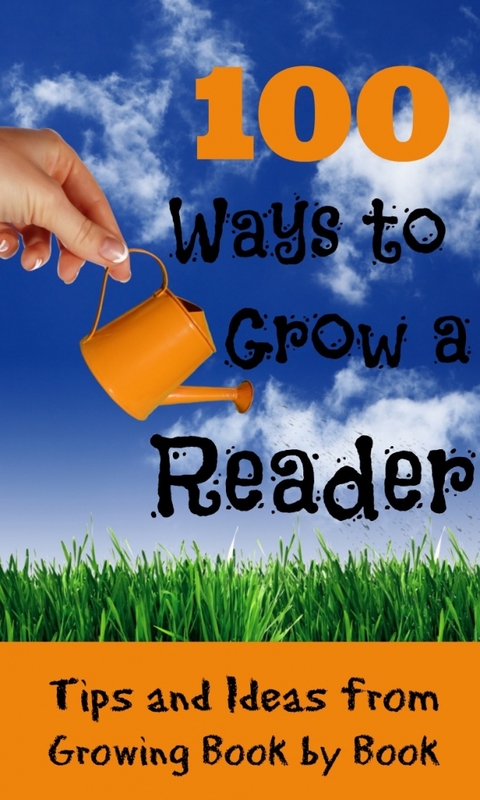 Bookinitat50: "100 Ways to Grow a Reader"
"100 Ways to Grow a Reader"
Full Disclosure: This post contains affiliate links for your convenience. Your support of Growing Book by Book is greatly appreciated. 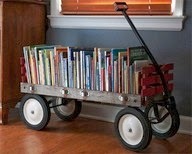 Go to www.growingbookbybook.blogspot.com for more ideas. Read, read and read some more! The number one way to grow a reader is to read to them everyday. Fill your house or classroom with reading material. Here are some ideas for building a library on a budget. Send notes in your child’s lunchbox or bookbag for them to read. Here are some fun printable ideas from Teach Mama called A Little More Lunchbox Love. Talk with kids. 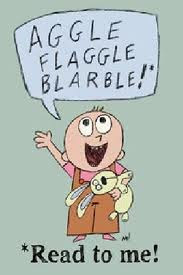 Talking with kids builds language and vocabulary development. Give a magazine subscription. Kids love to get mail! Go on a letter dig. Have kids create lists. Reading and writing go hand in hand. Use sensory play to extend stories. Find books on topics that your kids are interested in at any given time. Don’t get frustrated if your child doesn’t love to read. Try some of the ideas on this list for help! Story magnets are a fun way to encourage storytelling. I love the Upcycled Story Magnets from Sun Hats & Wellie Boots. Label things with beginning readers. Use sticky notes or index cards to create labels for just about anything in your house or classroom. Incorporate gross motor activities into learning your letters. Check out J is for Jump from Teach Preschool. Let kids read to their pet, a sibling or a neighbor to practice their reading fluency. Be a reader. Model reading. Kids need to see us read! Use reading pointers for young readers who need help tracking print. Attend story time at local libraries or bookstores. Help young readers learn about word families. Check out this fun Lego Word Families from Playdough to Plato. Let kids pick out books for other kids to give as birthday presents. Encourage kids to find their just right reading spots. Start a Family Dinner Book Club. Share books with out of town relatives or friends through Skype. Go on a picture walk with kids before reading the text. This is a great way to “plant” new vocabulary, work on predictions and build background knowledge before reading. Read chapter books to children. This helps expose them to new vocabulary and develop visualization skills. Create some easy literacy games with muffin tins. Read the same books over and over again! Repetition helps with comprehension, fluency and developing a love of reading. Let kids choose books they want to read. Make reading homework time stress free with these Reading Homework Tips for a Stress-Free School Year. Expose children to lots of different reading genres. Music and literacy are great partners. Incorporate musical experiences into your child’s life. Set reading goals with your children. Let babies and toddlers handle books (hold them, turn pages, point to pictures, etc.). This is a great way to help them learn about concepts of print. Create puppets and have lots and lots of puppet shows. When teaching letters of the alphabet, start with the letters in your child’s name. Incorporate experiences into your reading life. If you are reading about the park, take a fieldtrip to the park. Have your child’s vision checked. It’s hard to learn if you can’t see the words. Go on a listening walk. Never leave home without something to read! Take reading material in the car, to the doctor’s office or a restaurant. Encourage relatives and friends to give books as gifts for holidays and birthdays. Limit television and video game time so there is more time for reading. Play the game Runaway Letter. Beginning readers need “just right” books to practice their reading. These are books at their independent level. Talk about how words relate to each other. Collect words. Place a jar in a prominent location. As you discover new words together, collect them in the jar. Start reading from day one with babies. Ask questions about what your child is reading and how they are enjoying what they are reading. Get your child their own library card. Play the alphabet game in the car. Who can find an “a” as we are travelling. Keep going until you get to “z”. Increase the amount of non-fiction reading. Graphic novels really help motivate reluctant readers. Pragmatic Mom has a great series called ABCs of Graphic Novels. Praise your child’s effort in becoming a reader. Don’t stop reading aloud to a child once they can read on their own. All reading doesn’t have to be from books. Cereal boxes, magazines, flyers, billboard signs, street signs, etc. are all opportunities waiting to be read. Select holiday gifts that promote literacy. Check on your child’s progress. If they are in school, talk to their teachers. If you homeschool, do some diagnostic and performance assessments. Once in a while, let kids stay up late to read a good book! Seek out good quality literature. The The Jim Trealese Read-Aloud Handbook is just one resource for finding great books. Read a book under a shady tree. Let beginning readers reread familiar text over and over again. As a family or class, design and record commercials about books and reading. “Read” wordless books. Check out the post How to Read Wordless Picture Books from What Do We Do All Day for ideas? Keep a list of books that you enjoy each year. It’s always fun to revisit old favorites from when the kids were younger. I kept track of the first 100 books we read to each of our kids. I figured it would be a fun list someday for the 100th day of school! Create a list of literacy activities that you are interested in from Pinterest. Check out my literacy activities Pinterest board. Let your child help someone else read. They say you don’t truly understand something until you can teach it! Allow lots of time for kids to read independently. Have kids research things that interest them. For example, if they want a new electronic device, have them read reviews about different options. A great way to show that reading is important! Start a shared journal with your child. You each take turns writing back and forth to each other. Not only are you working on reading skills, but writing too. Develop recognizing letter sounds. Try this Beginning and Ending Sounds Listening Activities from This Reading Mama. Watch a movie based on a book. 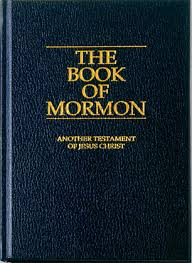 Build up a to the movie night by reading the book before watching the movie. Then, compare the two versions. Encourage kids to write their own books. Play pattern games with babies and toddlers. Recognizing patterns will help when they become readers and writers. Share conversation at the dinner table. Here are 365 table topics to get the conversation rolling! Let your kids meet authors. You can attend bookstore or library signings. If a live visit isn’t possible, Youtube has lots of videos of authors and illustrators talking about their work. Don’t pressure your child. Every child develops and meets milestones at their own pace. Be patient! Teach kids how to treat books. This book ambulance might come in handy! Celebrate the holidays with books. Incorporate reading theme related books into your holiday traditions. Is your child a sports fanatic? Let them keep up with statistics and stories in the newspaper during the season their favorite sport is played. Celebrate author’s birthdays. It’s a great way to showcase different author’s work. Happy Birthday Author blog is a fun one to follow to gather ideas. Have your kids join a book club. If you can’t find one, start your own! Reluctant and/or older readers may prefer reading on an electronic device such as a Nook or Kindle. Don’t take a vacation from reading during the summer. Check out the summer literacy fun we had last year. We called it Alphabet Summer Fun. We even made a book of all our fun to remember the good times all year long. Speaking of summer, plan a literacy vacation! 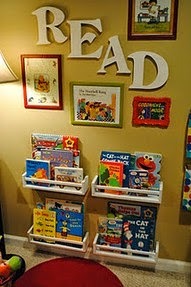 Incorporate books and writing activities into pretend play. For example, have menus and bills in a restaurant dramatic play area. Cooking with kids provides lots of literacy opportunities. Here are some of our favorite cookbooks for kids. When reading a chapter book, have kids draw a picture after each chapter in a mini-book about what they read (or heard if it’s a read-aloud). It’s a great comprehension tool. Help your child learn decoding strategies. Imagination Soup has a handy printable strategy reminder bookmark that goes beyond “sound it out”. Create a word wall in your home or classroom. There are lots of different kinds of word walls (high frequency words, vocabulary, math, etc.) Add just a few words a week. Make “story of my day” placemats for your dining table. A great way to practice sequencing and build language skills. I like the Dinnertime Doodle Mats from Positively Splendid. Go on a reading picnic. Bring a basket full of books and spread out the blanket in the grass and read! Participate in Virtual Book Club for Kids or Poppins Book Nook each month. Virtual Book Club for Kids features books by a certain author each month. Poppins Book Nook features books by various authors on different themes each month. Read with your child 15-20 minutes each day. This truly is the best gift you can give to a reader!